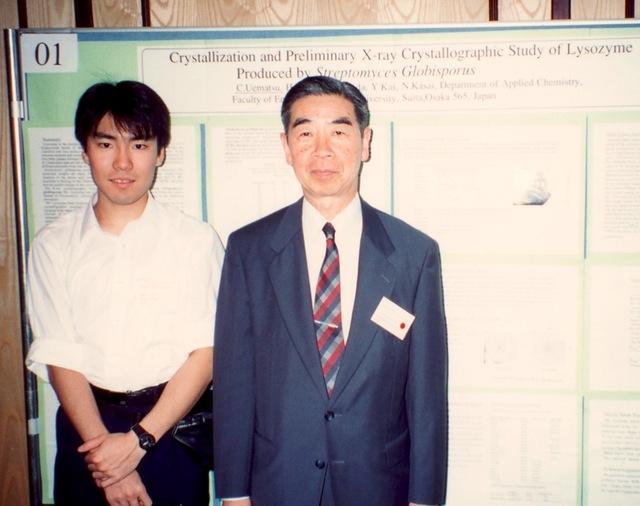 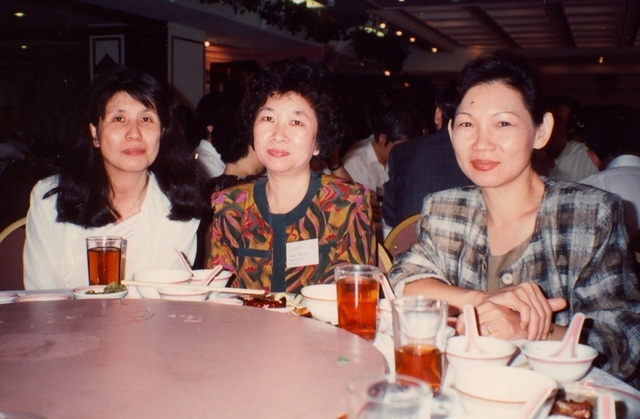 The 1st conference of the Asian Crystallographic Association. 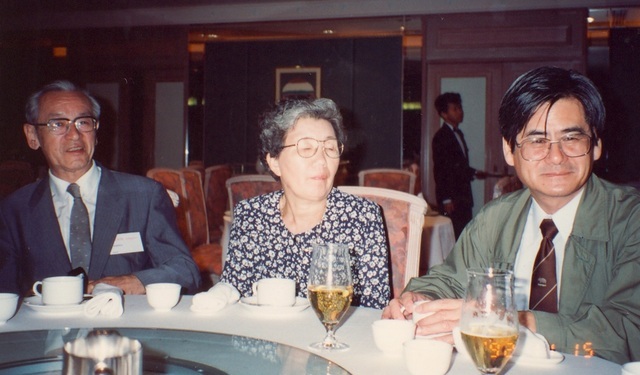 Prof. Hoshino, Mrs Hoshino, J. Harada. 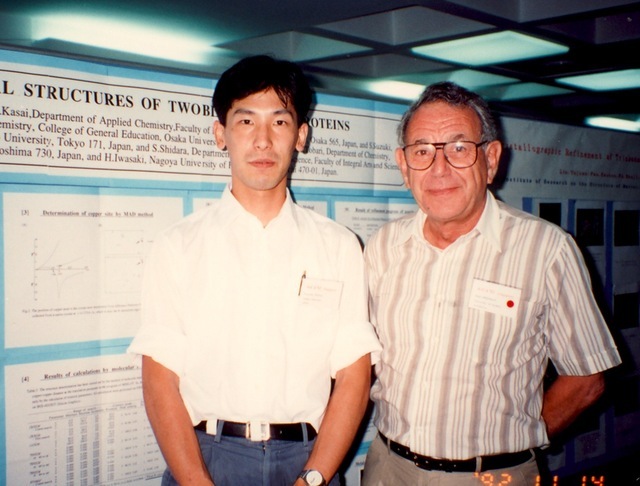 S. R. Hall, N. Kasai, A. Authier, T. Ashida, ?, E. N. Maslen, H. Hashizume. 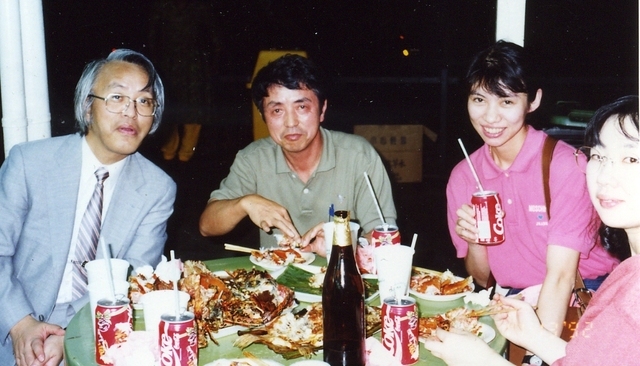 Yuji Ohashi, Kazumasa Osumi, Syd Hall. 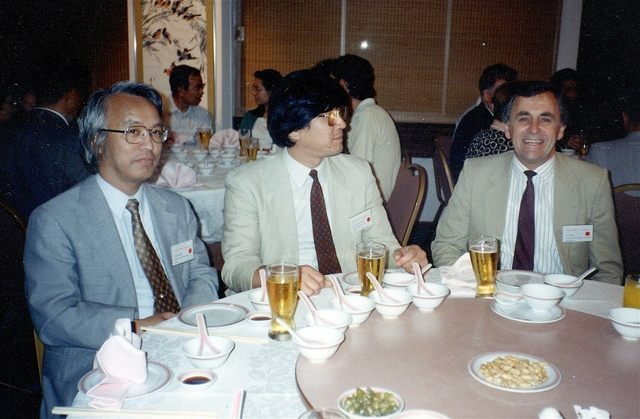 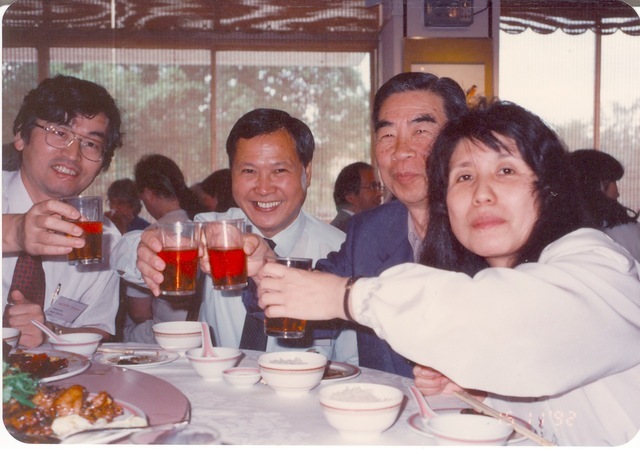 Yu Wang, André Authier, ?, Nobutami Kasai. 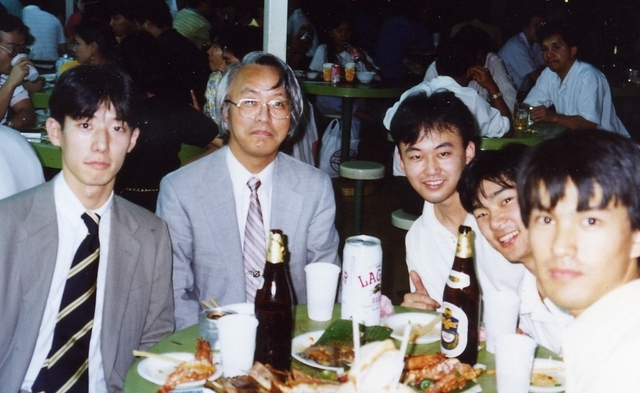 Yuji Ohashi with students at lunch. 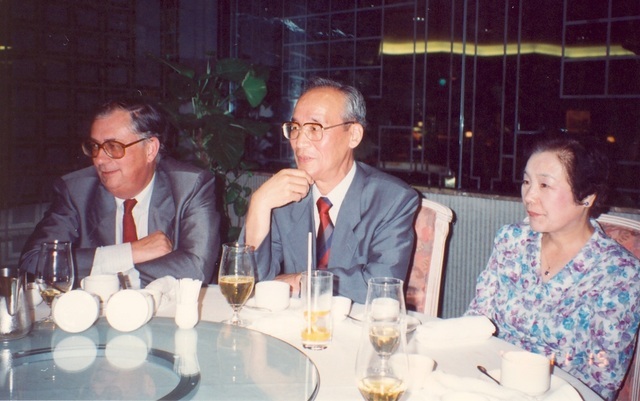 ?, Chen Wei, Yasushi Kai. 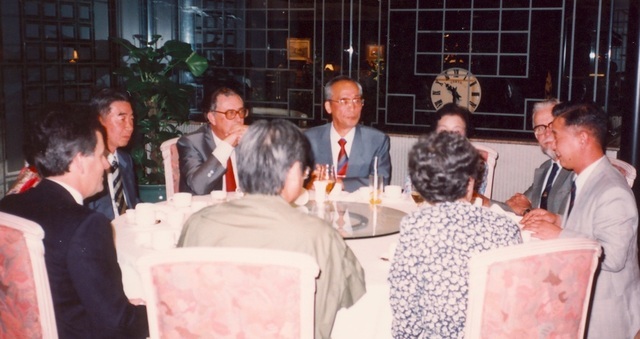 Yasushi Kai, ?, Nobutami Kasai, ?. 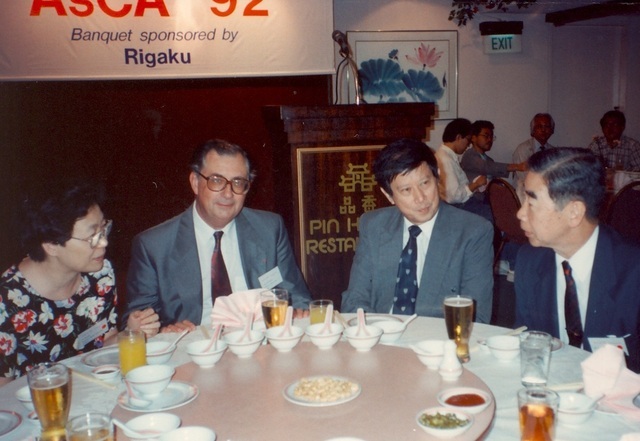 Jimpei Harada, Syd Hall, ?. 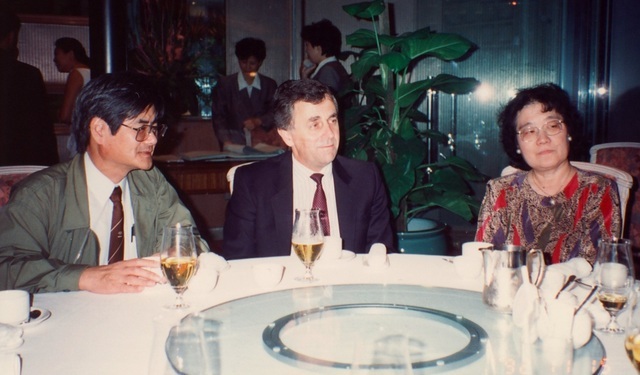 André Authier, Tamaichi Ashida, Mrs Ashida. 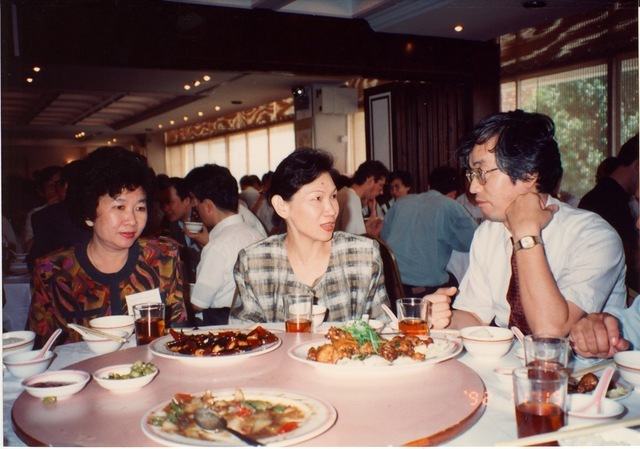 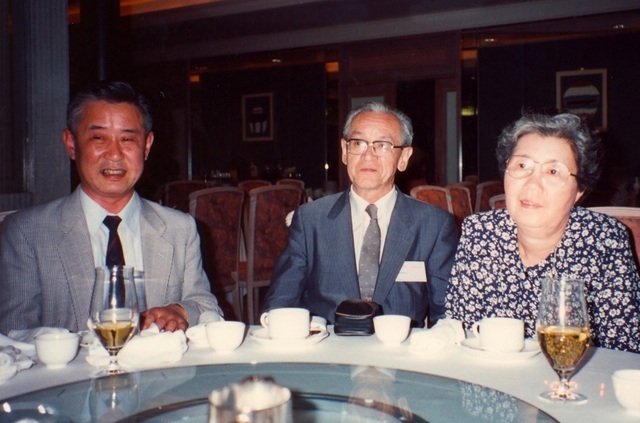 Hiroo Hashizume, Sadao Hoshino, Mrs Hoshino. 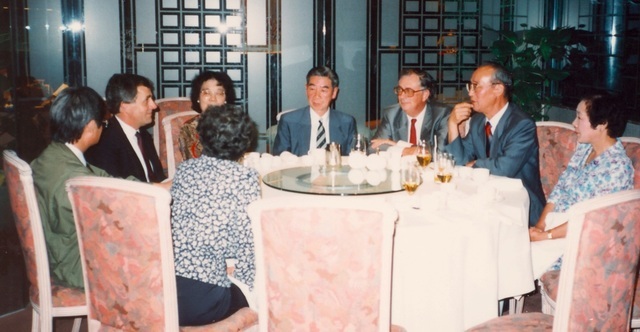 J. Harada, S. R. Hall, Mrs Kasai, N. Kasai, A. Authier, T. Ashida, Mrs Ashida. 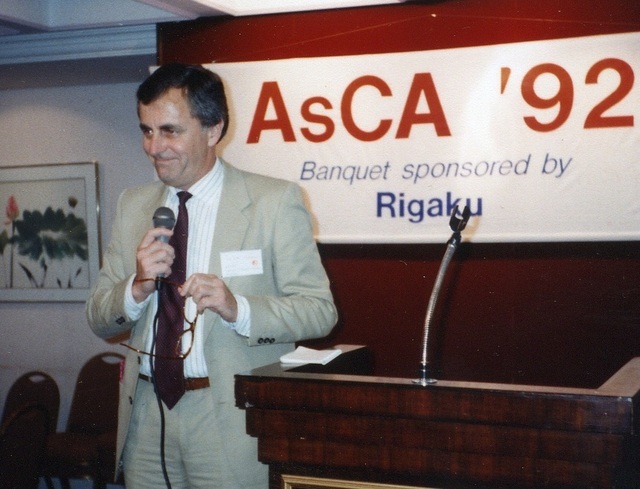 Closing address by Chair of Organising Committee Syd Hall. 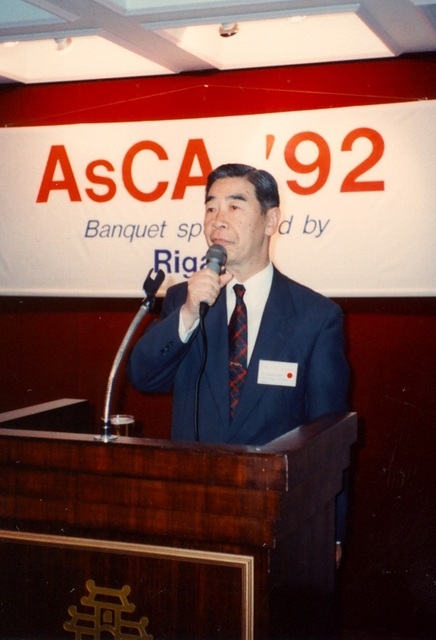 Closing address by President of AsCA Nobutami Kasai.